(This post is an abbreviated version of the South by West article that will appear in February's Hill Rag). After more than six years of planning, the largest development to occur in Southwest in over a half century has finally received the approvals it needs to put shovels in the ground sometime in 2013. 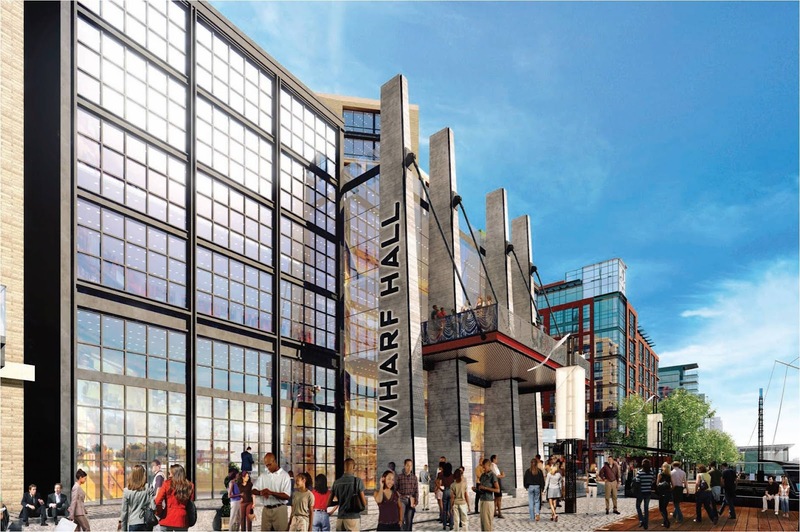 The District of Columbia Zoning Commission granted its approval on Monday for phase one of The Wharf, which includes approximately 1.5 million square feet of residential, hotel, office, and retail uses along with three piers, numerous open spaces and gathering places along the Southwest Waterfront. Madison Marquette, along with PN Hoffman, leads the development team that will bring the project to fruition. 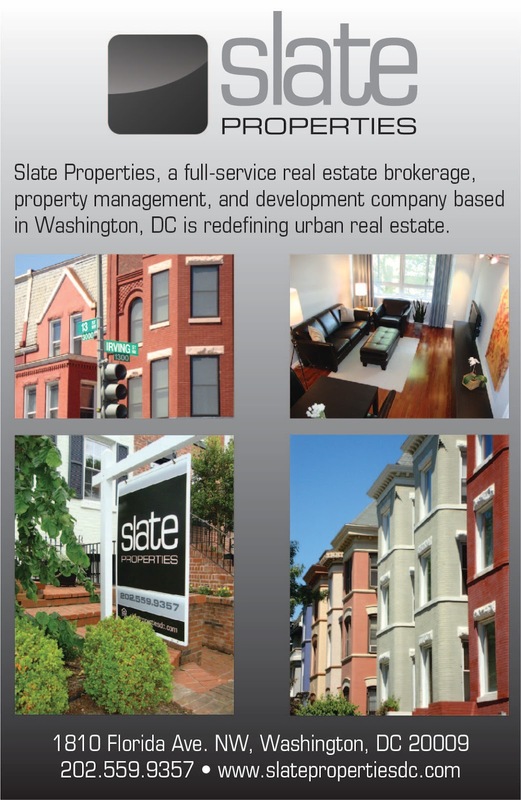 In most of Washington, the riverfront is bordered by parkland or military installations, but The Wharf will be one of the few areas of the District where city life meets the water. Water Street will be removed to make way for new buildings, but a promenade street will be created near the water’s edge called Wharf Street, designed as a woonerf, which allows vehicular access but pedestrians and cyclists have priority. The 60-foot wide promenade will include areas for café seating, pedestrians, and vehicles. A 650 square-foot pier will extend from Maine Avenue where it meets 9th Street out into the Washington Channel. District Pier, as it is being called, will be the grand entrance to The Wharf by land or water. Tall ships and other vessels from around the world will use District Pier to access the city. To the west of District Pier is Parcel 2, which will contain Wharf Hall, a multipurpose venue that can accommodate between 3,500 and 5,500 people, along with two apartment buildings wrapped around it. Wharf Hall has been designed to accommodate a variety of events, from conferences to cultural programming to concerts and will be in operation ideally between 150 and 180 nights a year. A Combined Heating and Power Facility plant is also planned on this parcel which would use clean-burning natural gas to power the rest of the development. Moving east from District Pier to Parcel 3, a 278-key, four-star Intercontinental Hotel will face Wharf Street. There will be an office building on the Maine Avenue side of Parcel 3. Next door to Parcel 3 is Parcel 4, where a 175-unit apartment building is planned facing Maine Avenue, SW and a 134-unit condominium building is planned on the Wharf Street side. These buildings will have more of an industrial feel to them than the other buildings planned in phase one. All of the buildings in phase one will include ground floor retail, but the buildings in Parcel 4 will have 77,000 square feet of retail in two levels, including space for a health club. Although disjointed from the rest of the phase one buildings, Parcel 11 at 6th Street and Maine Avenue will be developed as a part of phase one, as well as a new 4-acre waterfront park for the neighborhood. 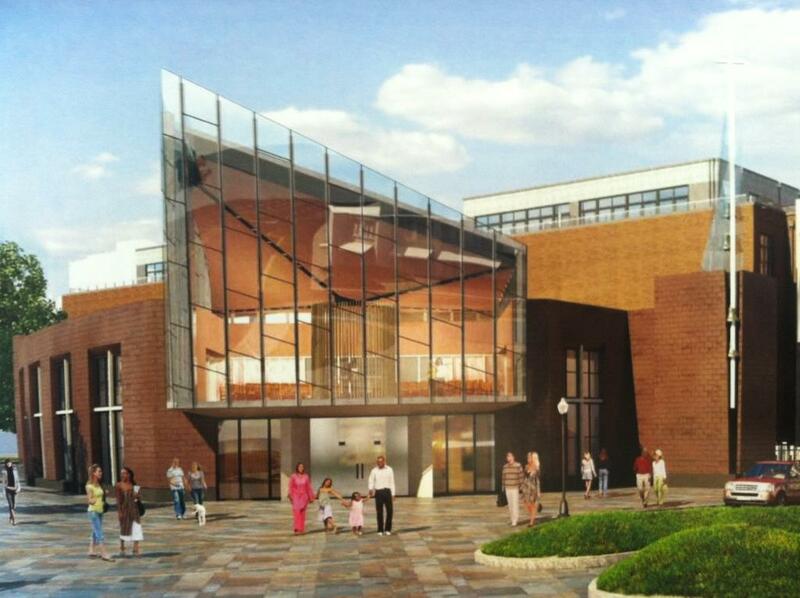 At the new St. Augustine’s Church on Parcel 11, there will be views of the church from M Street and Maine Avenue since it will be located at a prominent corner. There will be a soft curved edge in front of St. Augustine's to complement the curvature of Arena Stage across the street. The 2-story church will be approximately 15,000 square feet with the sanctuary located on the second floor offering views toward the Washington Monument. The other building planned at Parcel 11 will be a 109-unit condominium. The asymmetry of the facade was designed to be similar to the Tiber Island townhouses across the street. 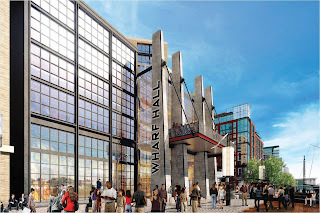 The Wharf will seek LEED-New Development Gold, while the individual buildings will strive for a minimum of LEED-Silver. An elaborate 675,000 gallon cistern system will be constructed to capture the more than 25 million gallons of runoff each year that currently dumps into the Washington Channel due to the lack of permeable surfaces at present. The captured runoff will be recycled to the greatest extent possible, including the provision of chilled water for the Co-Gen plant. Solar power may also be used for lighting throughout the development. Next on the agenda for the development team is to secure financing for the project. 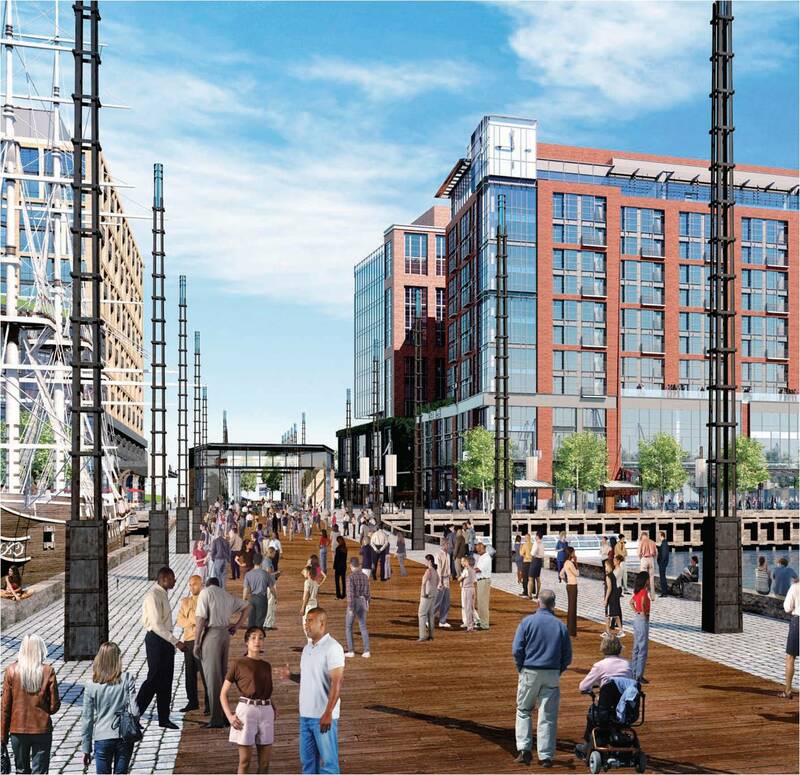 Once financing is in hand and the land transfer is completed between the city and Hoffman-Madison Waterfront, construction permits can be pulled and the transformation of the Southwest Waterfront can begin. Update: JBG will be making their presentation to the ANC at the February meeting for the two hotels planned at Parcel 5 adjacent to 7th Street Park (an Aloft hotel and Element hotel).